Spend an evening with Stephen Breyer, associate justice of the U.S. Supreme Court, for a special edition of the Maverick Speakers Series. Justice Breyer will discuss his recent book, The Court and the World: American Law and the New Global Realities, at 7 p.m. Tuesday, Dec. 13, at Texas Hall. Students, faculty, and staff may reserve up to two free tickets by Friday, Dec. 9, while supplies last. General admission is $5. Preferred seating tickets are $35 and include a parking pass. Tickets are available at utatickets.com. 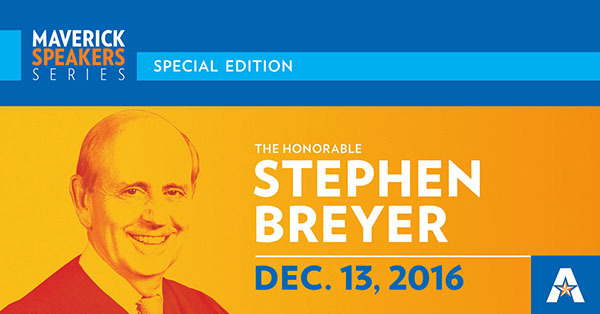 Send questions for Breyer to maverickcommunications@uta.edu or share it via social media using #maverickspeakers. LEARN MORE. Candidates for provost and vice president for academic affairs will have separate sessions open to the University community at 1:30 p.m. Friday, Dec. 9, and 3 p.m. Tuesday, Dec. 13, both in Room 108 of University Hall. Each candidate will speak and then answer questions. 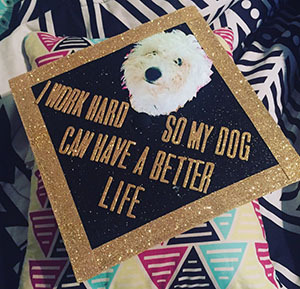 Decorate your cap? Show us to win! Share photos of your decorated graduation cap via email or on social media using #MavGrad2016 for a chance to win a UTA prize pack. Entries close at 5 p.m. Sunday, Dec. 11. Your friends, family, and fellow Mavs will choose the winners! Learn more about how to enter, how the voting will take place on Facebook, and the official rules at bit.ly/MavGrad2016. 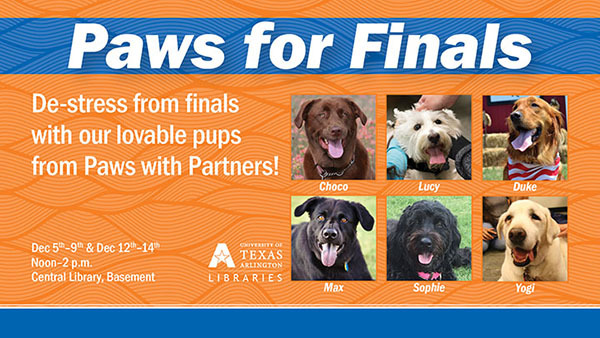 Plan some holiday shopping at the UTA Bookstore's two-day sale on Wednesday-Thursday, Dec. 7-8. For apparel or gift items, take 20 percent off one, 25 percent off two, or 30 percent off three or more. Check out the ugly Christmas sweater long-sleeve T-shirts, Maverick tree ornaments, and more. Late Night Breakfast at the Connection Cafe is UTA's tradition for studying late for finals. Breakfast is served 9:30-11 p.m. Monday-Tuesday, Dec. 12-13. Because of a large event on Saturday, Dec. 10, the College Park South parking garage will close at 10 p.m. Friday, Dec. 9. All vehicles on the lower level must be moved or will be towed. Expect paid parking in all east campus event lots. Vehicles with an active UTA permit can park for free in any event parking lot. Starbucks at the E.H. University Center now accepts Starbucks gift cards and payment via the Starbucks app. You also can earn stars through the Starbucks Rewards program. UTA Dining Services by Chartwells manages the UC Starbucks. Learn more about the Starbucks Rewards program. The United States Postal Service (USPS) warns of a holiday chain letter scam that's making the rounds on Facebook and by email. People are asked to join a "secret sister" or "secret Santa" group and are instructed to send a gift item or gift card to the person at the top of the list, add their name to the list, and forward the email to six friends. In theory, you would receive thousands of gifts and gift cards within a few weeks, but this pyramid scheme will fall apart before you receive anything. Chain letters are illegal, regardless of how they are delivered, according to the USPS. Read more about this and other scams on the USPS website. 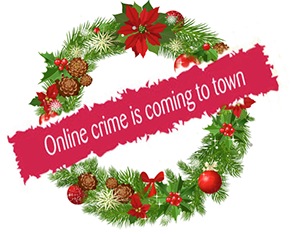 The Information Security Office encourages you to be aware of holiday season scams, phishing, and malicious software distribution campaigns. Cyber criminals often send personal messages that appear to be legitimate and include websites that look real with logos, email, or web templates. If you receive suspicious emails, contact the Information Security Office at security@uta.edu. Read more online security tips.